The use of hidden cameras raises personal privacy issues and there may be legal aspects to consider, depending on the jurisdiction in which use takes place. A hidden camera can be contrasted with CCTV, which is visible and which sometimes is accompanied with a warning notice of its presence. The use of hidden cameras is generally permitted under UK law, if used in a legal manner and towards legitimate ends. Individuals may use covert surveillance in their own home to spy on others, in the workplace to monitor employees, outside of a domestic or commercial property for security purposes, and in most security situations where there is a just need to do so. There are a number of laws under the Data Protection Act and Human Rights Acts that may impact on the use of hidden cameras. In any type of covert surveillance, footage should only be used for the purpose for which it has been taken, which must be a legitimate security reason. The person in possession of the footage is responsible for its use, and must only retain footage for as long as it is reasonably needed. It is not permitted to release footage to third parties except when there is a legal necessity. It is illegal under UK law to deploy covert cameras in areas where individuals would have an expectation of privacy, such as bathrooms, changing rooms and locker rooms, or plant a hidden camera in someone else’s home, or an area someone else owns. A secret video recorder is a camera used to record people without their knowledge. The camera is disguised as another object and is not visible to the subject being filmed. Hidden cameras can be built into commonly used objects such as caps, plants, television sets, smoke detectors, clock radios, motion detectors, ball and mobile phones. Hidden cameras may be used for household surveillance and may also be used commercially or industrially as security cameras. The proliferation and lower costs of video recording devices has led to an increase in the use of hidden cameras for legitimate surveillance need, as well as for entertainment and other purposes. 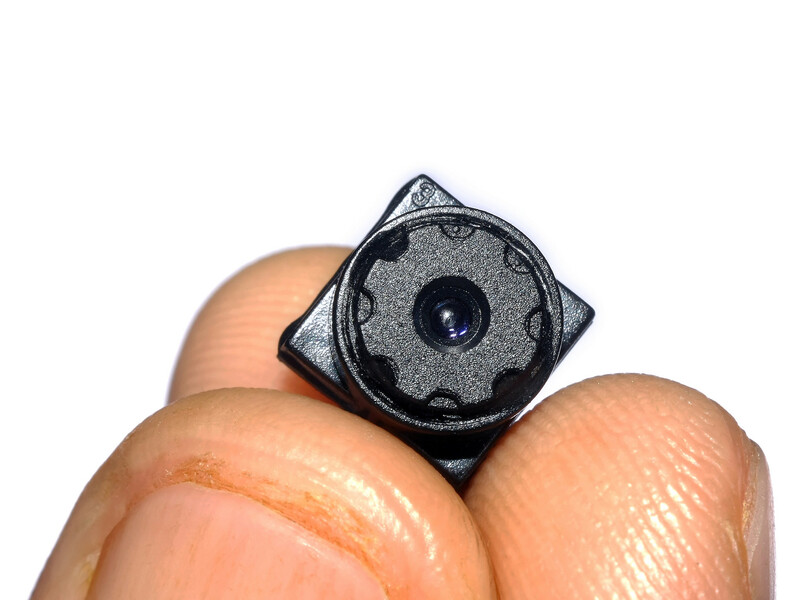 A hidden camera can be wired or wireless and can be connected by cable to a viewing or recording device, such as a TV, VCR, digital video recorder, memory card or other data storage medium; whereas a wireless hidden camera can transmit a video signal to a receiver within a small radius, where the images may be viewed or recorded. Hidden cameras may also have an audio capability. A hidden camera may be activated manually, by remote control or be connected to a motion detector. An innovative fun gadget suitable for children and teenagers infatuated with Inspector Gadget or Sherlock Holmes. The hidden camera inside the pen is what makes the delicate instrument a must-have for all spies! The beautiful pen has a classic look and can also be used as a regular pen. 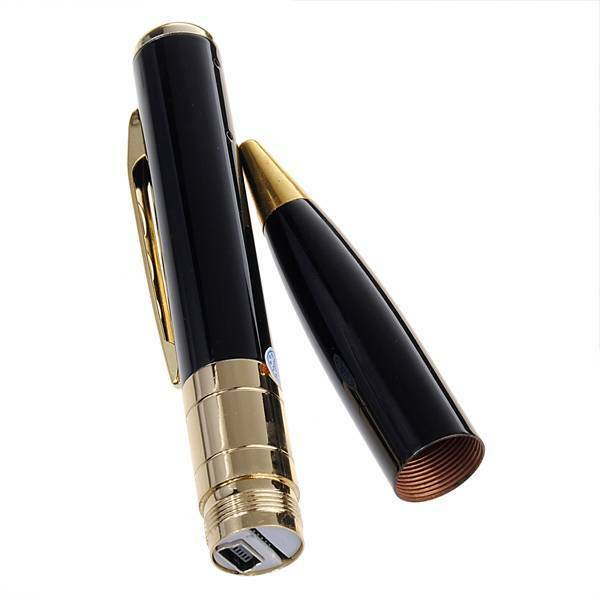 The article consists of the mini pen with camera and video recorder (720P), one USB cable and a manual. Learning how to use this pen is fairly simple and straightforward. You will first need to make sure your pen is charged. You do this by plugging the USB cable into the pens camera USB and the other into your PC’s or laptop’s USB port. Once your pen is fully charged you can disconnect the pen from your PC or laptop. It usually takes approximately four hours to charge the first time and 15 minutes to recharge after the initial charge. The pen’s indicator light will blink while recharging and transition into a constant solid light once fully charged. A fully charged pen has about 1.5 hours of recording time. After charging you will insert a micro SD memory card into the slot. Please note that the pen records all recordings and photos directly onto this micro SD card. 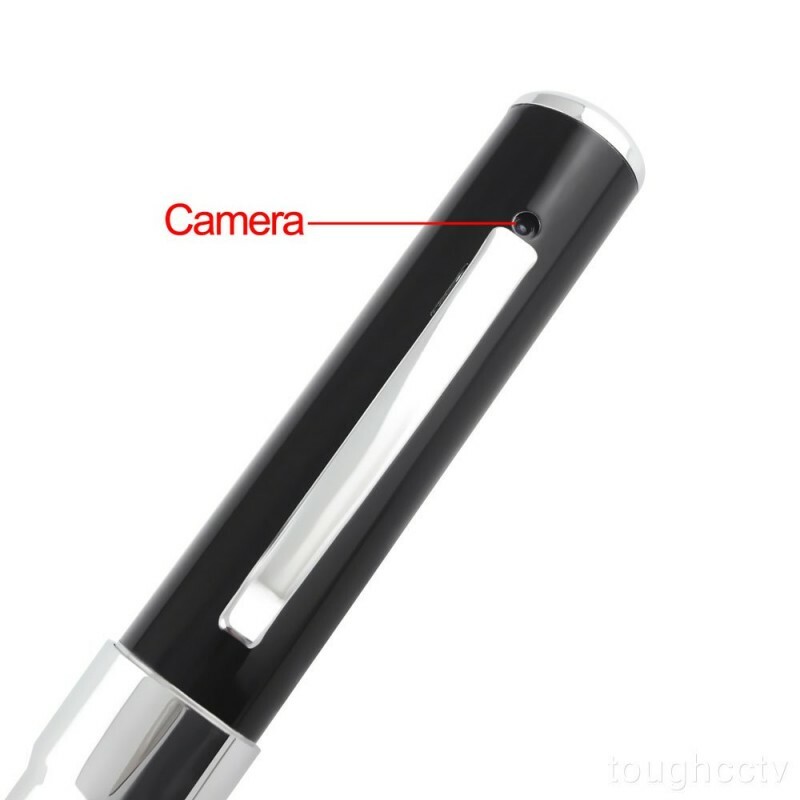 The built-in camera is easily activated by pressing on the button for two to three seconds located at the top of the pen. Again, check the indicator light as it will blink several times to indicate that it has been activated to record. Once recording begins the indicator light dims to a slow and steady blink. For the best results, make sure that the camera lens remains unobstructed during the recording session. To stop recording, click on the on and off button once. For multiple recordings, simply toggle from recording to stop recording to recording again. Once finished recording, remember to turn off your pen by pressing on the button for about six seconds. Take photos with one quick click to the on and off button. The green indicator light will blink once to indicate that it has captured the photograph. The recordings will be saved onto your micro SD card and are then ready to be uploaded onto your PC or laptop. You can view your recorded files by connecting the USB cable to your pen and the other end to the USB port on your PC or laptop. Once the micro SD memory card device icon appears on your desktop screen you can double click on the files you wish to view. You are also able to move these files into another folder or delete them.